The Millennium Science Complex hosts user facilities including the Nanofabrication Lab, the Materials Characterization Lab, and the Materials Computation Center. Frequent requests for tours are received from student groups, REU participants, high school students, teachers, on-campus conference attendees, and interested alumni. A MRSEC Tour Guide Team was created to fill this need. Scripts were created, guides were trained, signage and props were incorporated, and feedback from both guides and visitors was obtained. 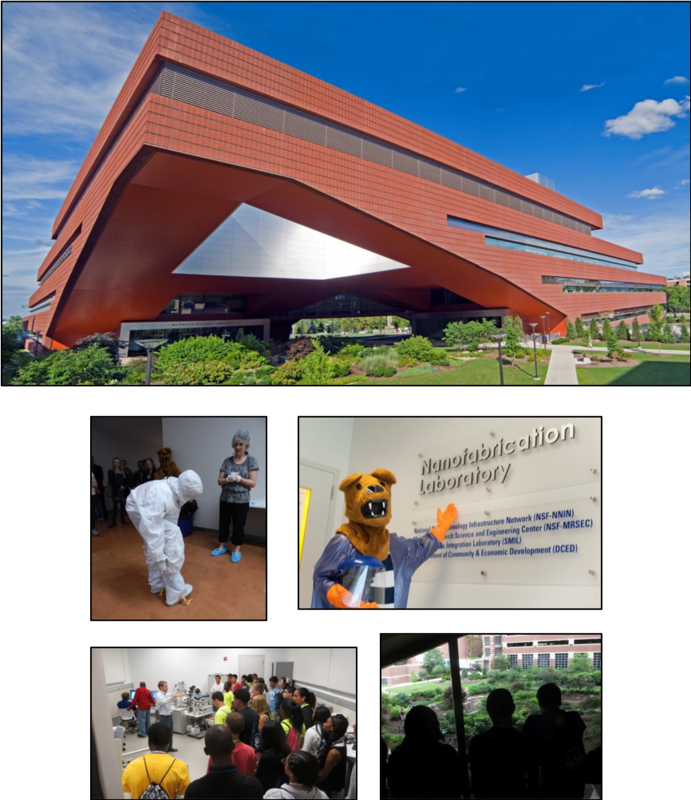 These 60-minute tours provide fantastic opportunities for professional development in science communication, recruitment and retention, and improved public awareness, serving over 400 individuals in the first year and sparking partnerships with the Huck Institutes of the Life Sciences and an undergraduate student chapter of Material Advantage.